David Dobrik started off as a Viner in 2013, before moving over to YouTube in 2015, where he's built an army of 6.1 million subscribers. When did David Dobrik join YouTube? Dobrik started on YouTube as part of a channel called Second Class. He posted his first solo video on February 15th 2015. At the time of writing he has close to three and a half million subscribers. David's upload schedule is Mondays, Wednesdays and Fridays. He also has a second channel, which he started in 2016, which is called David Dobrik Too. Are David and Liza Koshy dating? David began dating fellow YouTuber Liza Koshy in November 2015, but sadly they broke up in early 2018. Announcing their split in June 2018, Liza and David said that there were personal problems that meant they couldn't be together, but still held a lot of affection for each other. Liza and David added that, despite breaking up, they were still friends. Who is David Dobrik's father? You know that guy who David refers to as "dad" or "father" in some of his videos? Well he's more of a content dad than a biological father. His name is Jason Nash, a 44-year-old Viner turned YouTuber and Podcaster who's collaborated on a whole lot of content with David. He was also a semi-finalist on the American talent show, Last Comic Standing, in 2010. What Tesla does David Dorbik have? Fans of David's will know that he's a huge fan of his Tesla, which he bought in 2016. The model he currently drives is Tesla Model x p90d. David's vlogs mostly consist of him and his friends messing around with each other with varying degrees of danger and stupidity. 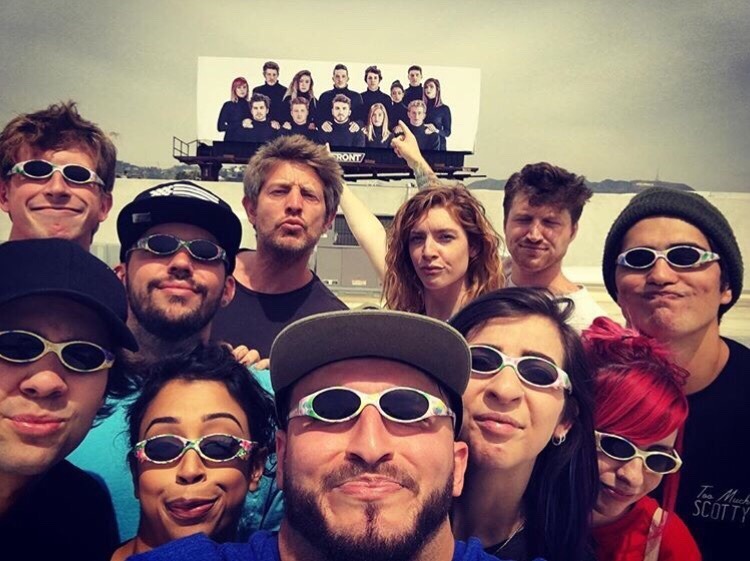 If you've seen the A-List of Vine, you can pretty much recognise the Vlog Squad line up with consists (but has more peripheral members) of: Scotty Sire, Toddy Smith, Alex Ernst, Gabbie Hanna, Liza Koshy, Zane Hijazi, Heath Hussar, Josh Peck, BigNik, Jason Nash, Matt King, Carly Incontro and Elton Castee. What is David Dobrik's net worth? Some online sources have placed David Dobrik's net worth at around $4 million dollars. He earns money from YouTube ads, merchandise sales. tour sales and other avenues.